The last couple of weeks have been packed with new colourways, boots, technologies and much more. 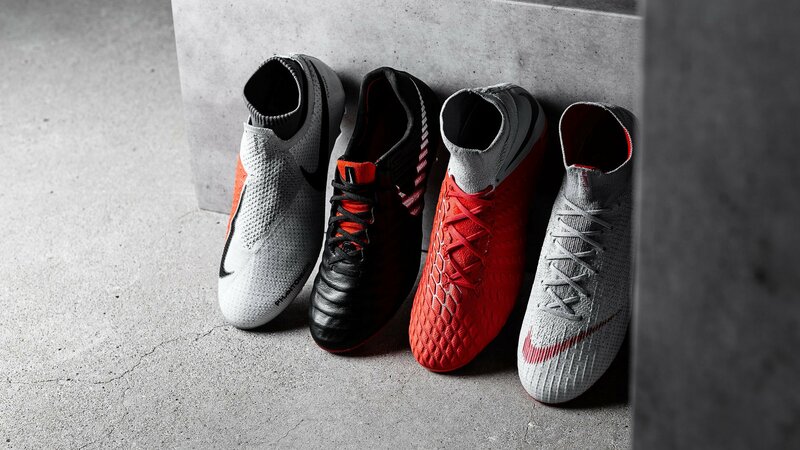 Now Nike is once again ready to give the players new boots, which they can take with them into the new season. It’s time for them to show where they came from and show their worth on the pitch. Some of the biggest stars of the game have all been playing on the streets as young kids. They have been Raised On Concrete to make impact on the biggest stages around the world. The streets have been rough, but it was here the players polished their raw talent and played the game the loved with joy. It’s time for them to take their raw talent from concrete to stadium to show what they are made of. Many of us, including me, might remember days where we used endless of hours playing football in the schoolyard, streets or at home on the concrete. You played without boundaries and with limitless imagination. No obstacle was to great and you always played with flair, to show your new skills that you copied from the legends of the game. The new Raised On Concrete Pack has taken inspiration from these moments of the pro players, as well as the young people who spends endless of hours on the concrete. This is something that really come to life when you look at the Mercurial and Phantom silos. 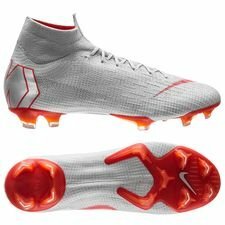 Both silos have been made with a silver or light grey design and touch, which lies close to the concrete theme, while red details just make the boots standout even more. Ronaldo, Mbappé and Coutinho are some of the players that are going to show their skills with flair, which they learned on the concrete as young kids. 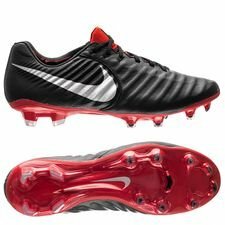 The Hypervenom and Tiempo boots have been taking in other directions, while they still are kept within the Raised On Concrete mindset. 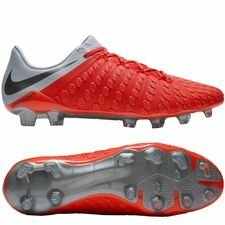 The Hypervenom also have the light grey colour placed on the heel and sock, while the main colour is red. 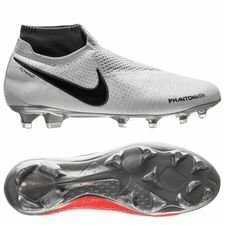 Previously we have seen the Hypervenom get a split design with two different colurs, so this different approach and design with a full colour on the upper from Nike really works well with the Raised On Concrete colours. The Tiempo is kept to its roots, while also getting a touch of concrete. 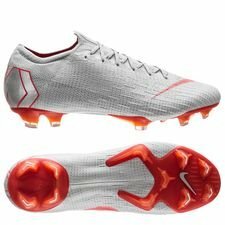 The Swoosh will represent the concrete with the shiny silver design, while the tongue and soleplate are made in red. What’s not to like on the classy leather boot! Have you also been playing on the concrete when you were young? Then the Nike Raised On Concrete is made for you. Available from today at Unisport.